GIGA GRANADA HILLS: Dang, What A Cool Lemonade Stand! 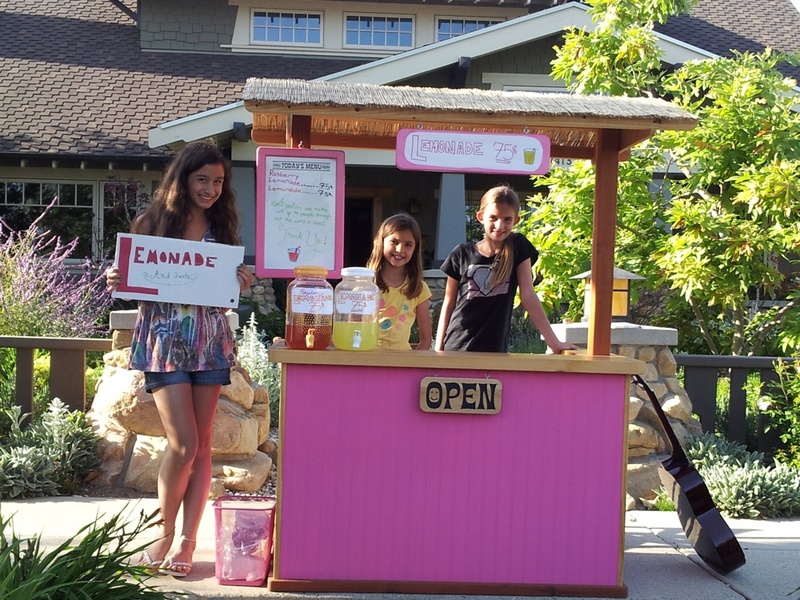 Dang, What A Cool Lemonade Stand! These girls selling lemonade in front of their beautiful craftsman house on Ludlow in Old Town GH had the stylin'est setup EVAH. And when business was slow, they had an acoustic guitar to play. Their grandpa built the stand for them. If this is what summer looks like, sign me up.